Chaos;Child is a visual novel sci-fi adventure game. Players are following the story of a high school student working for a school newspaper on the case of mysterious deaths, potentially related to an equally mysterious case that had shaken Tokyo a few years earlier. Chaos;Child is a visual novel adventure game. The Japanese company 5pb. and Nitroplus studio are responsible for the production of the title. Both developers are well known to fans of visual novel and pop culture of the Land of the Cherry Blossom, especially the part of it that is connected with the otaku environment (obsessive fans of manga, anime, militaria or science fiction films). Producers have many console titles in their output, of which only a small percentage went to Western players. 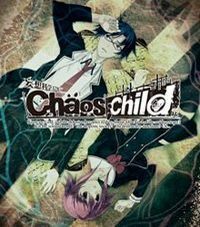 Chaos;Child is the fourth installment of the sci-fi adventure series, whose characteristic hallmark is the semicolon in the title. All the games in the cycle are loosely linked to each other and take place in modern Japan. Their plot touches on themes related to technological progress and scientific experiments, as well as using ideas derived from urban legends and conspiracy theories. Chaos;Child refers directly to the events presented in Chaos;Head, i.e. the first part of the 2008 cycle. Action Chaos;Child represents the adventures of members of the school journalism club at the Tokyo Hekihou Academy. The main protagonist of the story is his high school student Miyashiro Takuru. The boy starts an investigation, investigating two mysterious deaths. The first one took place on 7 September 2015. Then, in unexplained circumstances, the popular grove streamer died suddenly during a live program. Two weeks later, a street musician also died in an almost identical way. Takuru's friend points out that these accidents are reminiscent of the loud murders of 2009, which shook the whole city. The protagonist is slowly starting to link the case from a few years ago with the investigated cases. Trying to convince his colleague from the club to his theory, he comes up with hints which may lead him to a potential next victim. Chaos;Child is a typical Japanese visual novel. This means that for most of the game we read and listen to the dialogues of characters, having little influence on the plot. At the most important moments, however, we make decisions resulting in the achievement of one of the six ends of history. The character designs were prepared by Mutsumi Sasaki, who was also responsible for the appearance of the characters in Chaos;Head. The music in the game was composed by Takeshi Abo, working on soundtracks for Steins;Gate, Steins;Gate 0, Robotics;Notes and Chaos;Head.